Graham and Sally Osborne, the principals of Origen Architects Pty Ltd, have over 22 year experience in large scale eco-tourism and sporting facilities. 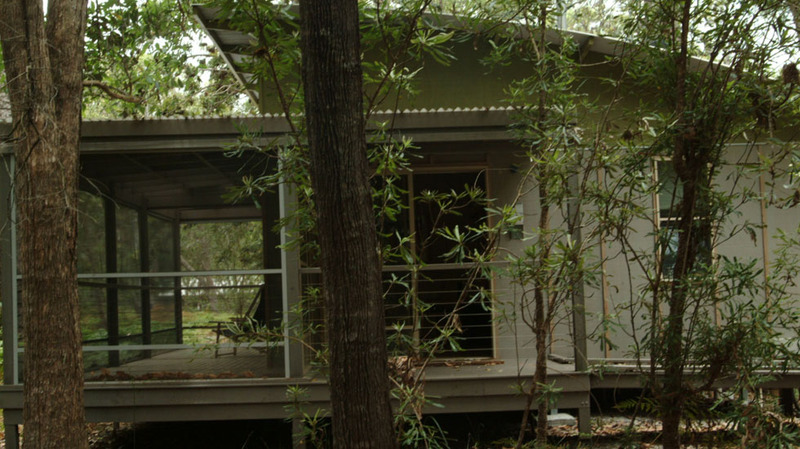 Recently Sally and Graham have taken up a WikiHouseAU chapter for Australia, to advance an open sourced design and construction service suited to the Australian conditions. The design and production method will be registered with the WikiHouse Foundation’s Creative Commons CC-BY-SA 4. 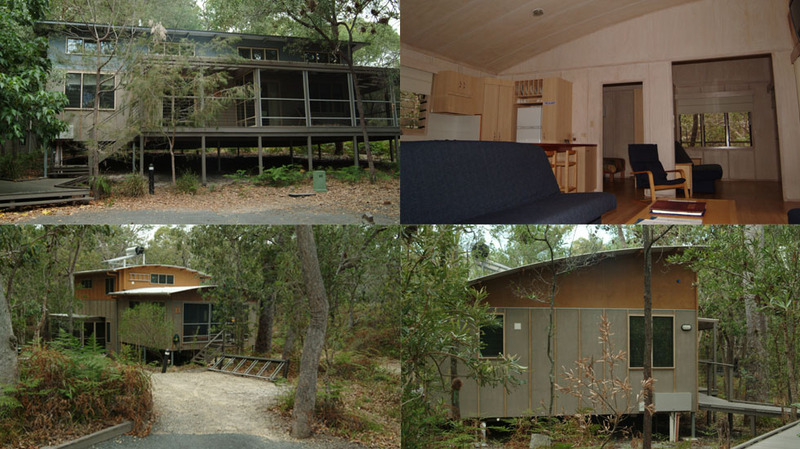 Origen Architects (then Arkishop Architects) with Phil Wallace, engineer, used the cassette floor and roof panel cassette idea, in the early ‘90’s for two prototype eco cabins on the remote South Stradbroke Island, located off the Gold Coast, Qld. The idea was to explore the suitability of cassette construction method for remote island construction. While the cassette floor and roof decks went together speedily their manufacture required the accuracy of a ‘joinery shop’, which at the time, made this method prohibitively time consuming and expensive. Two eco-cabins were completed but unfortunately the traditional ‘stick build’ prevailed for the completion further 145 cabins with all the attendant issues of a remote site; transport, advance ordering, storing materials in ‘sooty’ sand etc. No running to the local hardware shop here! The advent of the CNC (computer numeric control) is a ‘cutting edge’ (forgive the pun) technology, which revives the idea of cassette construction. 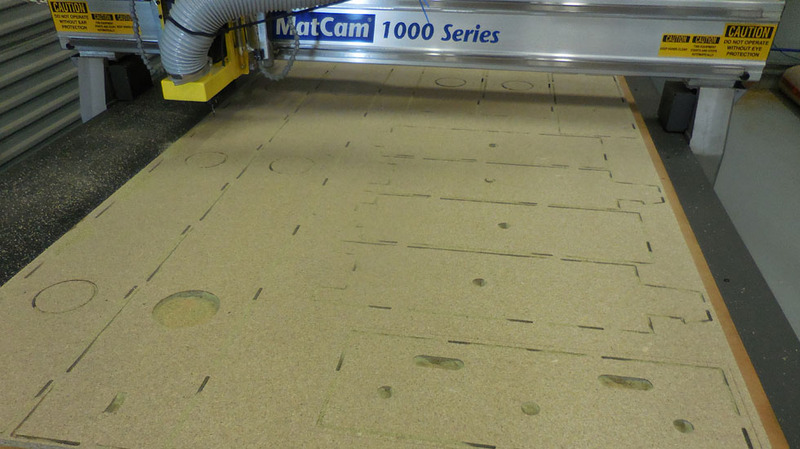 CNC machines can accurately and repetitively cut up to 50 sheets a day, which is enough for small WikiPod cabin. The sheets are cut and coded and left in the sheet as ‘break out’ parts, just like the plastic scale model aeroplane kit. The sheets are stacked, flat packed onto palettes and shipped to site. The packs are opened and the materials arranged/unpacked in the order of use for ease of construction. This provides the logistics for both the transport and site assembly. WikiHouseAU is engaged on the Gold Coast and uses the Gold Coast located Southport State High School based CNC cutting facility. 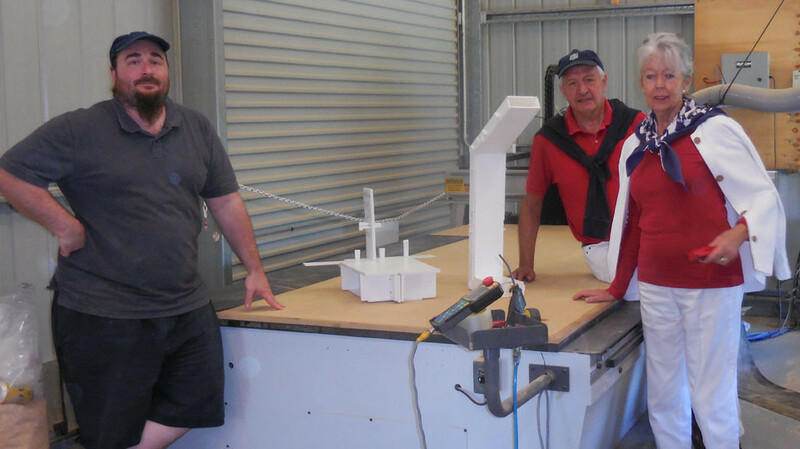 Matcom OZ has entered a ‘community partnership’ with Southport State High School to form a company called CNC Routing Solutions. The CNC machines have a tolerance of 0.01mm with a working area up to 3m x 1.5m.The machines are capable of cutting products for application in signage all the way through to products being used for engineering purposes.